Headstrong heroine Faith Reynolds returns in this thrilling sequel to the paranormal romance Blood on the Moon! After surviving being kidnapped by a vampire, Faith would just love to focus on some alone time with her hot (though occasionally furry) boyfriend, Lucas. 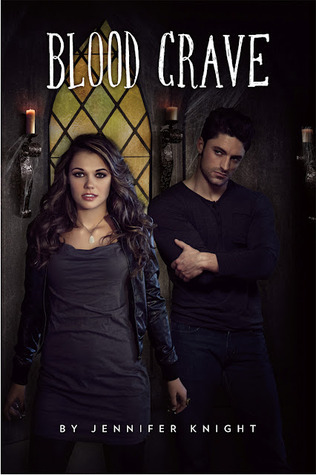 Unfortunately, with a vampire uprising on the horizon and her best friend, Derek, about to wake up and find himself transformed into a half-werewolf, half-vampire being without a beating heart, Faith has a few other things to take care of first. Faith is not without help, in the form of her newfound powers of sensing people’s emotions and being able to influence werewolves’ actions, not to mention her begrudging but rather helpful boyfriend. Even so, convincing a werewolf packmaster to prepare for an epic battle may be difficult to do without solid evidence. Lose yourself once more in the deliciously suspenseful world of werewolves versus vampires, otherworldly boys with deadly charm, and addictive, spine-tingling action and romance! The ending of this book blindsided me. That was the first time I had ever read something like that, especially in the middle book of a series. I was hooked after the first book, but I think I have just found my newest addiction. Faith is one of my favorite heroines simply because she is not perfect. She makes mistakes, she admits those mistakes and sort of embraces her own flaws – I love that about her. Most main characters, especially the female ones, are the stereotypical perfect little angels. Faith has some serious demons, and one hell of a temper – but she also doesn’t let it control her every move, though it may seem that way. She is not afraid to admit when she is wrong, and she has some very selfless tendencies. As for the rest of the characters, I love them just as much in this book as I did in the first. How can you not love Lucas? I like Derek too, but he annoys me too much sometimes haha. There is a time when you need to learn to let things go, and I don’t think he has fully hit that point yet. Overall, this book was amazing. When I started it, I didn’t want to finish it. I wanted it to last forever because it was so good. I have not had a story pull me in like that in the longest time, it is a feeling I cherish. I can not wait for the third one to come out, hopefully it comes sooner rather than later. I don’t know how long I can wait with that sort of cliff hanger.